UPDATE: Toronto Police say they believe they have identified the woman. That story can be found here. 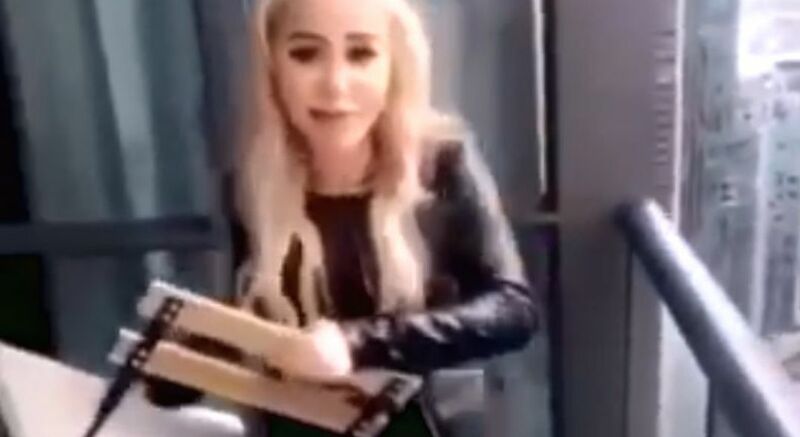 The Toronto Police have requested the public’s assistance identifying a woman now wanted in a Mischief – Endanger Life investigation after throwing throwing a chair from a downtown condo balcony. 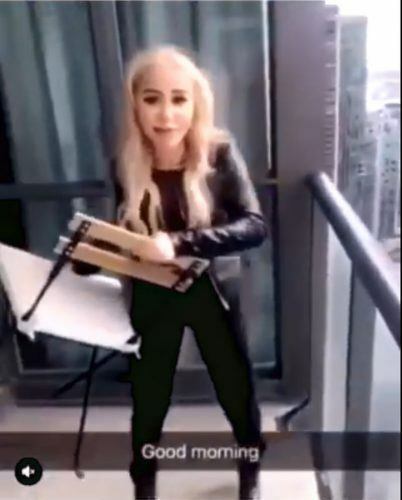 According to police, on Sunday, February 10, officers commenced an investigation into a mischief incident that occurred in the Harbour Street and York Street area after a video surfaced on social media showing a woman throwing a chair off a Toronto condo building. The short video, which has been seen more than 270,000 times on Facebook alone, ends before the chair lands on the highway. Police described the woman as in her 20s, 5’1″ to 5’2″, 110 lbs., slim build, with long blond hair. She was wearing a black leather jacket, black clothing and black high heels at the time of the incident. A photo of the woman has also been released.